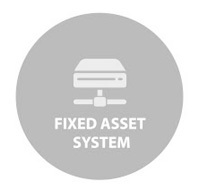 Fix Asset System is a program design to support Back Office feature particularly to allow the management to plan the budget and investment. Depreciation, automatically calculates depreciation Data Conversion from Text and excel. Supports the Job Creation. Maximum asset value for an individual asset is 9,999,999. Increased Expensing for Small Business. Renumber Account Groups option. Export data can be export to Excel, Text, Acrobat and Database. Can Override the depreciation calculation of an asset for the current year. Easy to modification Report.